Isn’t this striking in those classic colors! The small hearts are adhered to the card base with the heart window being cut into the top panel. 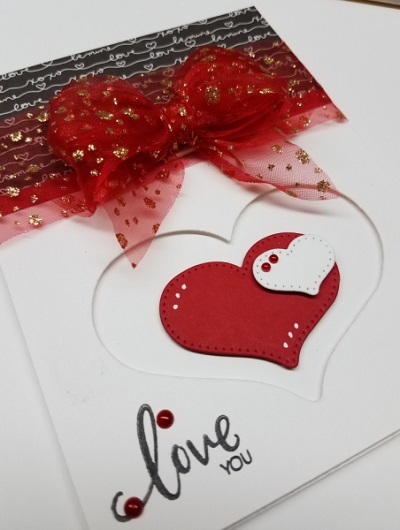 That glitter sheer ribbon is perfect on this Valentine! Holly used all 3 size heart dies on her card today. 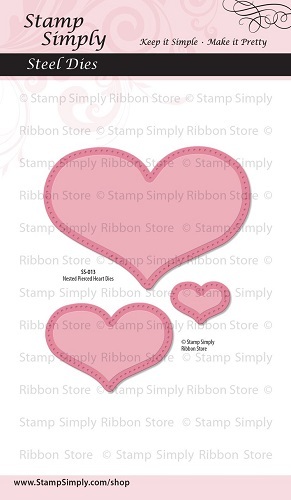 This paper collection is just too much fun for all your Valentine creations and beyond. 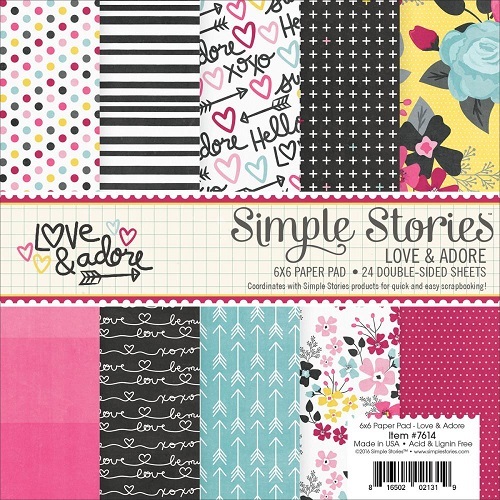 We all love the Simple Stories collections. 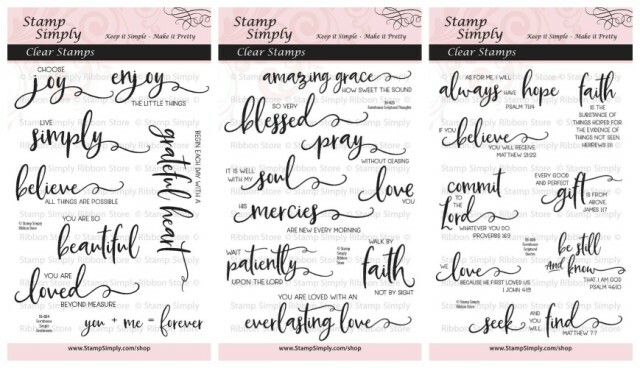 Find all in stock from Simple Stories here. 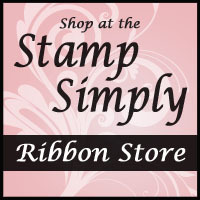 This ribbon is available in 10 colors and in a variety of purchase options. 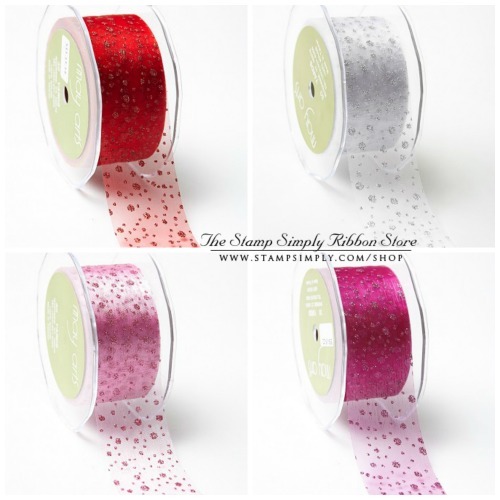 This has certainly been a popular ribbon – offering that bit of sparkle! Thanks. Holly did a fabulous job! Glad you like it, Barb! It’s a classic and an easy make at that! Holly did a wonderful job!